My university room is very 'quaint' shall we say, not everyone's cup of tea but to me it makes it all the more cosy. Not to mention, it's the fastest room in the house to heat up which is priceless come wintertime. Being a real homebody, I love decorating and sprucing up the place to make it my own and to do this I require only three things: fairy lights, salted caramel candles and a good book. Prints and photographs will soon be making their way onto the walls (sorry landlord) but for now this'll definitely do for some home comforts. My favourite piece in my room currently is my new little cactus plant, maybe a little bit of a Urban Outfitters cliché but that's exactly how I like it #sheep. 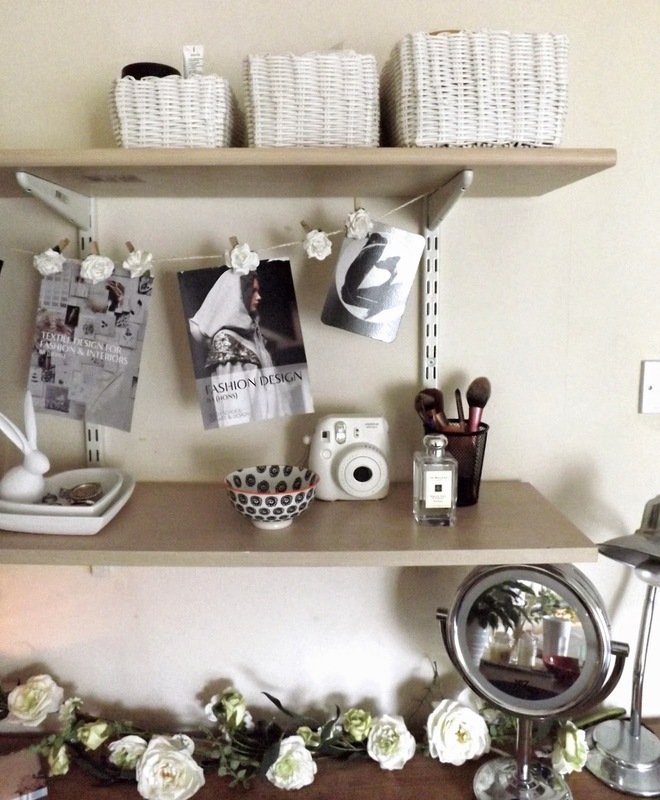 4 comments on "A PEEK INSIDE MY UNI ROOM"
Your blog is absolutely amazing and your room looks so cute and cosy... wish my room looked like that! !